Glicee Print, 40 cm x 40 cm. "Spooky Rules the Night". Military interest ?. Suitable for Framing | Wall Art | Dictionary Art | Scrapbooking | Reference. Antique old print from "The Sphere". Full page, there may be text and/or pictures on the reverse. Suit able for framing. This is an authentic print, published at the date stated above. It is not a modern copy. This is an original antique print, not a reproduction or modern copy. Antique old print from the "Illustrated London News". Suit able for framing. This is an authentic print, published at the date stated above. It is not a modern copy. A limited edition print of a work by Robert Taylor titled The Last Phantom. Shows a Phantom of The Fleet Air Arm coming in to land probably on Ark Royal. Signed in pencil by the artist and pilot LT COM David Braithwaite MBE. Antique print from "The Sphere". This is an authentic print, published at the date stated above. It is not a modern copy. Antique print from "The Sphere". Provenance: The Sphere newspaper. The Sphere was published as a competitor to The Illustrated London News and The Graphic. It was first published in 1900 and ran through to 1964. TOBOGGANING ON THE ITALIAN FRONT. 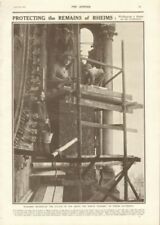 Antique old print from the "Illustrated London News". Suit able for framing. This is an authentic print, published at the date stated above. It is not a modern copy. BRITISH HOSPITAL TRAIN, NURSE. Antique old print from the "Illustrated London News". Suit able for framing. This is an authentic print, published at the date stated above. It is not a modern copy. 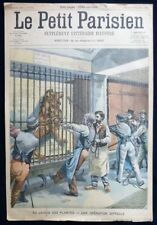 Antique old print from "The Sketch" magazine. Full page, there may be text and/or pictures on the reverse. Suit able for framing. Antique print from "The Sphere". The Sphere was published as a competitor to The Illustrated London News and The Graphic. It was first published in 1900 and ran through to 1964. This is an authentic print, published at the date stated above. 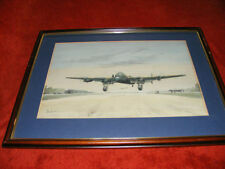 HALIFAX BOMBER "FRIDAY 13th" WOOD FRAMED PRINT, GLASS FRONTED. The Print is in a good condition, I think the print may be slightly faded. 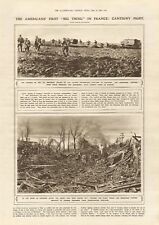 Antique old print from "The Illustrated London News". Full page, there is text and/or pictures on the reverse. Suit able for framing. This is an authentic print, published at the date stated above. Double page with central fold as issued. May be binding holes in centre fold. 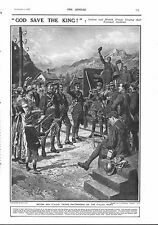 Antique old print from "The Illustrated London News". Double page with central fold as issued, there is text and/or pictures on the reverse. LANCASTER BOMBER "By & After" FRAMED PRINT SIGNED LEONARD CHESHIRE VC,DSO,DFC. Antique old print from "The Sphere". Double page with central fold as issued, there may be text and/or pictures on the reverse. Suit able for framing. Double page with central fold. Binding holes in centre fold. Antique print from "The Sphere". Crease across bottom corner. Provenance: The Sphere newspaper. The Sphere was published as a competitor to The Illustrated London News and The Graphic. It was first published in 1900 and ran through to 1964. 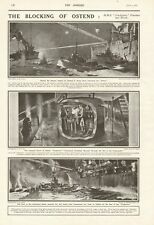 1916 ANTIQUE PRINT-WW1-ZEPPELIN "L19" LOST IN NORTH SEA FOUND BY "KING STEPHEN"
Antique old print from "The Illustrated London News". Double page with central fold as issued, there is text and/or pictures on the reverse. Suit able for framing. 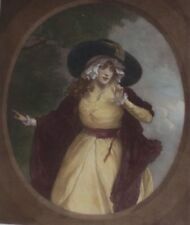 This is an authentic print, published at the date stated above. BRITISH SOLDIERS IN CAPTURED GERMAN TRENCH. Antique old print from the "Illustrated London News". Suit able for framing. This is an authentic print, published at the date stated above. It is not a modern copy. Antique old print from "The Sphere". Full page, there may be text and/or pictures on the reverse. Suit able for framing. PHOTOGRAPHIC IMAGE - DOGS OF WAR- TRAINED ANIMALS AT WORK AT THE FRONT. 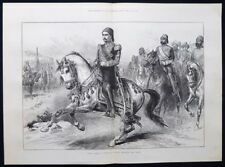 Antique old print from the "Illustrated London News". Suit able for framing. Erecting Aeroplanes Coventry, Lithograph by David Muirhead Bone. Listed. Framed. A lithograph after David Muirhead Bone (1876-1953). Sir David Muirhead Bone was a painter, draughtsman and printmaker, born in Glasgow. In 1901 he moved to London and was soon exhibiting at the Royal Academy and the New England Art Club. Antique print from "The Sphere". Provenance: The Sphere newspaper. This is an authentic print, published at the date stated above. It is not a modern copy. DOUGLAS-NAVY AD SKYRAIDER LITHO ART PRINT 16"X20"
DOUGLAS-NAVY SBD DAUNTLESS LITHO ART PRINT 16"X20"